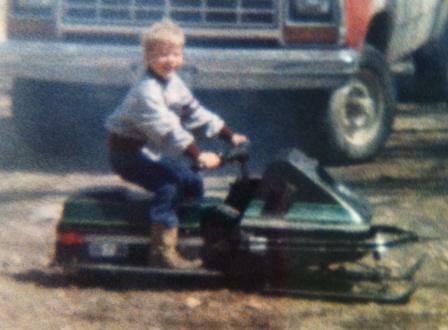 Yes, this little cowboy is Tucker Hibbert, shown here at age 3 (presumably inventing the stand-up style of riding). He's battling media machines like Travis Pastrana and Shaun White for a prestigious ESPY award, and he needs your clicks to win. 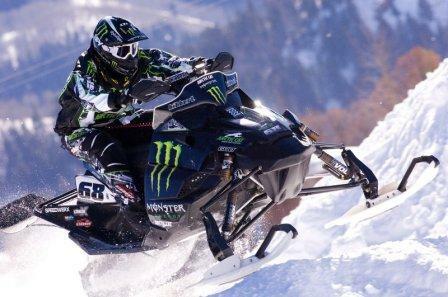 Snowmobile snocross legend Tucker Hibbert is one of five athletes nominated for the 2011 Best Male Action Sport ESPY Award. Hibbert’s record breaking season earned him his first nod for the prestigious award which will be presented live on ESPN Wednesday, July 13. The ESPY (Excellence in Sports Performance Yearly) Award nominees were selected by a panel of judges but ultimately fans will decide who will win. Hibbert will battle Travis Pastrana, Kevin Rolland, Kelly Slater and Shaun White though online and mobile voting through Saturday, July 9. Despite suffering a serious wrist injury mid-season, Hibbert had a breakthrough year winning his tenth overall ESPN Winter X Games snocross medal with a gold medal five-peat and dominating the national snocross tour. He won 11 of the 16 Pro finals and finished top-five in all 16 to claim both National Pro Points Championships. Hibbert was catapulted to the center of the action sports world at age 15 when he became the youngest gold medalist in history at the 2000 Winter X Games. Now, the 27-year-old is known worldwide for his long list of accomplishments including his impressive crossover into AMA Motocross and Supercross. -Spends the majority of his race season in places such as Fertile, Erskine, Rothsay and Goodridge. (I doubt the other ESPY nominees EVER spend time in towns with a population smaller than 10,000, let alone 1,000). 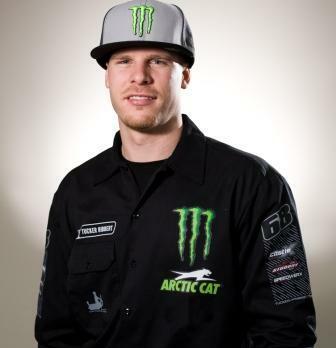 -He's the only nominated athlete who will be hanging out at the Arctic Cat 50th Anniversary celebration. Hurry: voting ends on July 9. ESPY's are cool! But lets keep the Snowmobile hall of fame going! Lets get younger generations idol's inducted. I was there when Tucker was inducted and it was a very very special time! Sorry that was Kirk Hibbert at snowmobile hall of fame! Lar, what about if he wears cowboy boots?